We proudly present “LICK N FLIP – SPACE VIBRATIONS EP“. These progressive trance tracks are produced by a real musician. 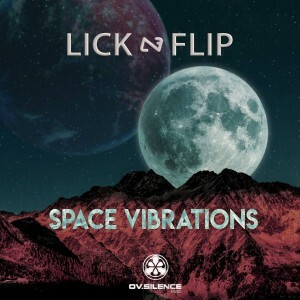 “LICK N FLIP” born in Brazil, living in Hamburg for more than 10 years is playing several instruments like drums or gitarre. This you hear in his music and this you can always experience during his live sets where he loves to perform some parts with different intruments. In spite of his long time in northern germany you can hear the soul of Brazil in his music. Always smiling and with a tribadelic rythm every gig is a unique peformance. Posted in All Releases, Music, New Releases.Tagged LICK N FLIP, Music, Release.